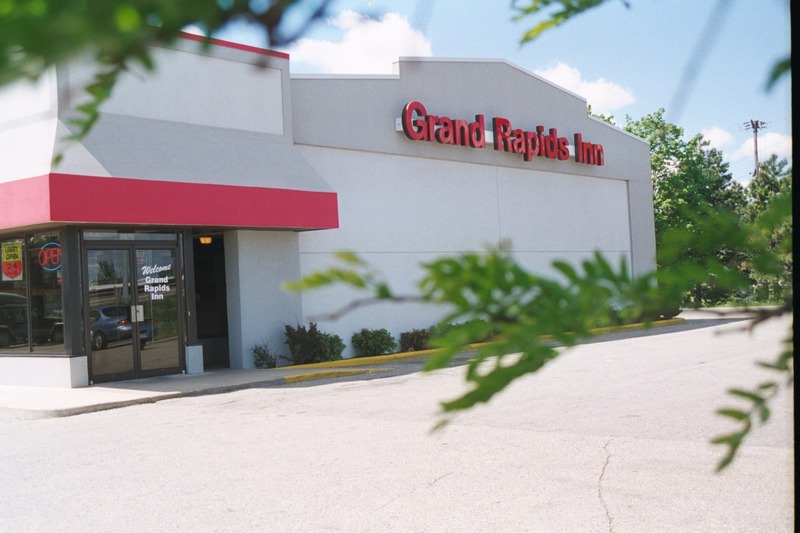 The Grand Rapids Inn is located with-in ten minutes of the airport and five minutes from Downtown Grand Rapids. There are many restaurants with-in a few minutes of the Hotel. A 24 Hour convenient store is located across the street. There is Elizabeth's Kitchen restaurant on the premises. We also have a 24 Hour Front Desk. Our rooms are efficient and spacious. We have Single, Double, King and both Jacuzzi- Suite & kitchenettes, Adjoining rooms available. All rooms have 27" color TV, HBO; HBO2, HBO Signature, HBO Family, HBO Comedy, HBO Zone, HBO Latino , ESPN, ESPN2, ESPN Classic, ESPNEWS ; CNN, air- conditioning, Direct Dial Phones, ( Local Calls Free ). Free Fridges and Microwaves in all Rooms, High speed Internet available at a nominal charge. Free Ice is always available and our vending area has just about anything you would want or need. Our friendly and courteous staff are waiting to see to your every need. For your convenience, We accept Visa, Master Card, Discover and American Express. We Have an ATM Machine in our Lobby, and Long Distance Phone cards. complementary Hot Coffee available all morning.